Goat Island Dive and Snorkel, Leigh, Auckland. Information, Photos and Reviews. Our priorities are practicing water safety and teaching the benefits of marine conservation. Visiting Goat Island Marine Reserve is one of the Top 10 Things to do in Auckland New Zealand. We are situated just over 1 hour north of Auckland on the Matakana coast in Leigh. We service New Zealand’s first protected Marine Reserve, Goat Island. We offer snorkel & dive equipment to hire or buy, guided snorkeling, try dive, dive trips, and dive courses from entry to professional levels. 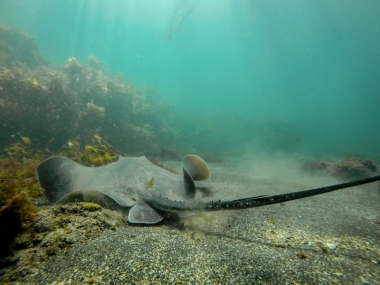 We can take you diving in New Zealand´s first marine reserve! 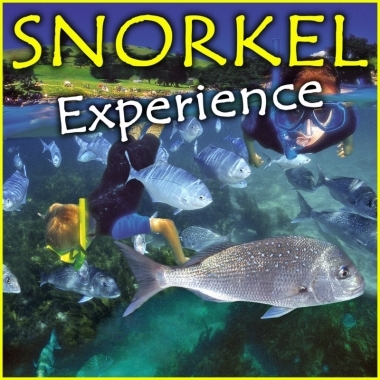 The Guided Snorkel Experience is a snorkel lesson and guided tour with the Goat Island Dive & Snorkel PADI Divemasters. 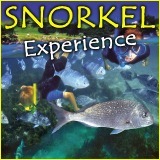 The Guided Snorkel is fantastic for all experience levels. 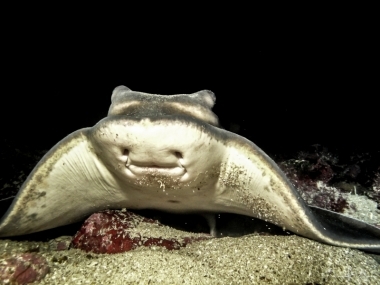 For those who are new to snorkeling and swimming, our Divemasters keep you safe and comfortable. 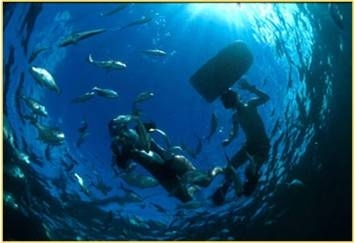 For those who have experience snorkeling we focus on enhancing your skills while exploring the hot spots. Imagine what it is like to breathe underwater, to hover in a weightless world with marine life of all colours, shapes and sizes surrounding you. 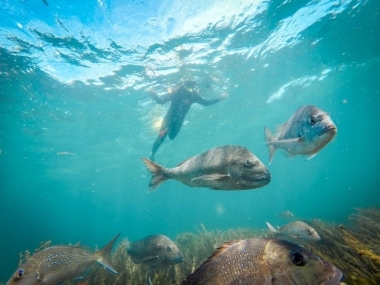 Goat Island Dive & Snorkel's 1/2 day Try Dive experience at Goat Island Marine Reserve is safe, fun and will leave you buzzed and keen for more! This dive course will qualify you to dive to a depth of 18 meters, with a buddy, anywhere in the world! 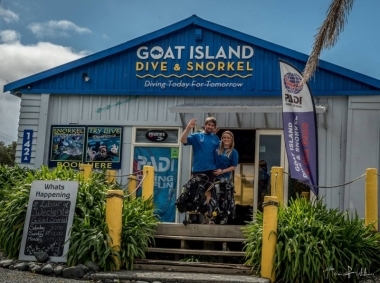 Goat Island Dive & Snorkel is the perfect place to start your adventure under the sea. Only 1 hour north of Auckland and NO LAKE DIVING!!! 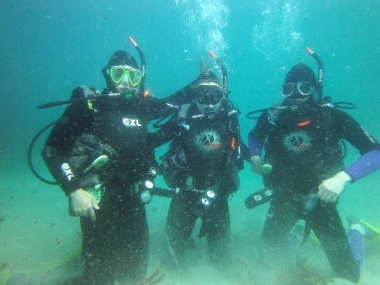 Our team will make your dive course experience one that can never be forgotten. We offer exclusive, personal and Safe instruction to help you get into diving confidently. After only 3 days you will walk away with the knowledge and skills to dive anywhere in the world! Nobody has reviewed Goat Island Dive and Snorkel yet, Be the first. You are submitting a booking enquiry. 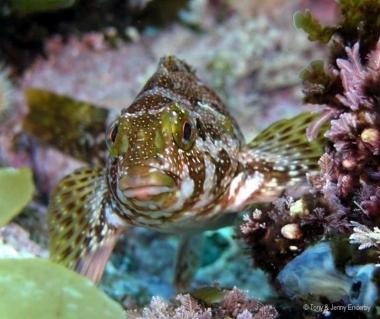 Goat Island Dive and Snorkel will then contact you by email with details of availability and prices.